Bigg Boss 10: Salman Khan's Witty Reaction On Forgetting His Jaanu's Birthday! Home TV Salman Khan Bigg Boss 10 Bigg Boss 10: Salman Khan’s Witty Reaction On Forgetting His Jaanu’s Birthday! 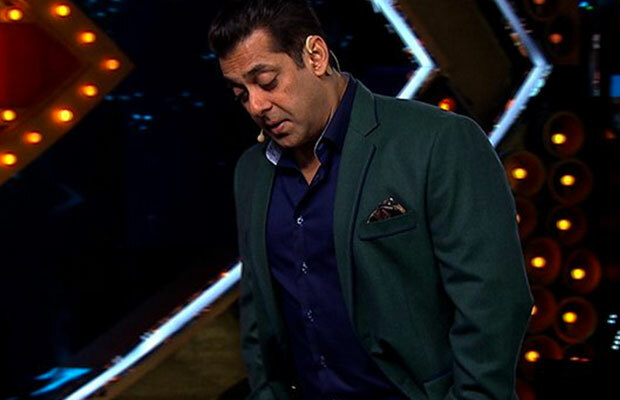 Bigg Boss 10: Salman Khan’s Witty Reaction On Forgetting His Jaanu’s Birthday! Tonight, Bollywood stars Aditya Roy Kapur and Shraddha Kapoor will be joining star host Salman Khan on the Bigg Boss 10 weekend ka vaar episode for the promotions of their upcoming film OK Jaanu. The duo will be seen performing on stage along with Salman Khan on the famous track ‘Humma Humma’ from OK Jaanu. Undoubtedly, the episode is going to be overloaded with fun and games as Aditya and Shraddha will be entering the Bigg Boss 10 house. Also, Aditya and Shraddha will have a brief chat with Salman Khan as they promote their film on the show. Shraddha Kapoor asks one question to Salman Khan that leaves audiences in splits. CLICK NEXT TO KNOW THE QUESTION! The actress asks Salman Khan if he has forgotten his “Jaanu’s” birthday ever. Aditya reacts saying, “I have” and then Salman responds saying that this happens with him all the time. Not only audience, even Salman Khan laughs out loud at his witty reaction. Tonight’s episode is surely going to be fun-filled like never before. Stay tuned to Business Of Cinema for more updates on Bigg Boss 10! Next articleBigg Boss 10 Exclusive: OMG! You Won’t Believe What Nitibha Kaul Tells Manveer Gurjar While Fighting!